The Institutional Review Board is a key component of the University of Minnesota’s Human Research Protection Program. Other departments that contribute to ensuring the ethical conduct of human research include the Research Compliance Office, Sponsored Projects Administration, the Center for Bioethics and the Health Information and Privacy Office. 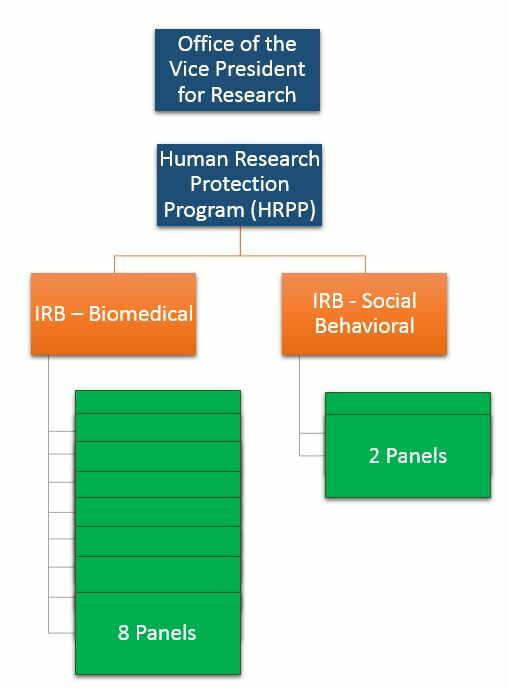 There are eight biomedical IRB panels and two social behavioral IRB panels at the University. The IRBs receive more than 10,000 initial applications, modification requests, reports of new information, or requests for changes to research teams each year. Each IRB biomedical panel meets every other week, while each social and behavioral panel meets at least once per month. The University IRBs are situated under the Human Research Protection Program (HRPP), a program that reports to the Office of the Vice President for Research in the University. The Vice President for Research also serves as the institutional official (IO). Associate Vice President Frances Lawrenz serves as the deputy institutional official for social-behavioral science, animal studies, and biological agents. Michelle Biros, M.D. serves as the deputy institutional official for biomedical research. Each committee consists of faculty, students, and staff representing all University campuses, Fairview, and Gillette Children’s Specialty Hospital. Membership expertise includes scientists (biomedical and social behavioral), nonscientists, and unaffiliated members. The University’s IRB holds a Federalwide Assurance (FWA number 00000312) from the Office for Human Research Protection (OHRP) in the Department of Health and Human Services (DHHS). This FWA is a binding agreement between DHHS and the University of Minnesota and is updated and renegotiated at regular intervals. Often sponsors or agencies request formal documentation regarding the IRB’s FWA and registration. Use this letter for these requests. The University’s Human Research Protection Program is accredited by the Association for the Accreditation of Human Research Protection Programs. Learn more about AAHRPP accreditation. Last Modified: June 13, 2018 - 12:14pm.